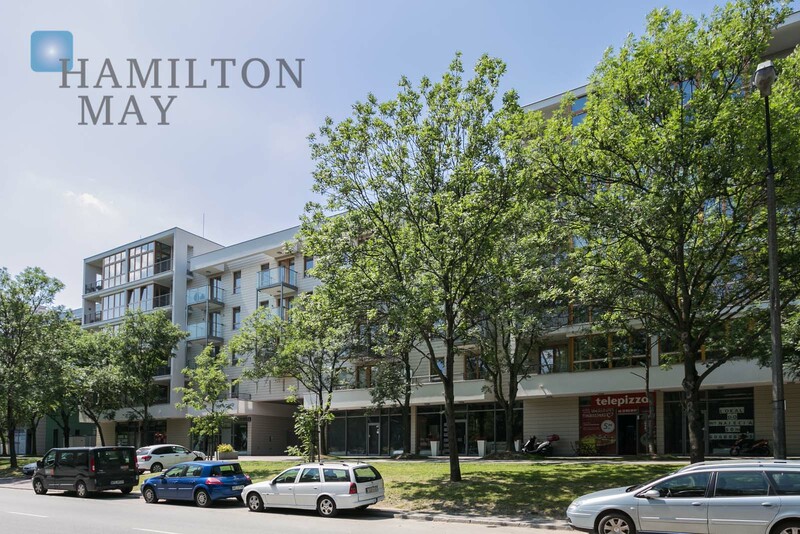 Hamilton May is pleased to present a two bedroom apartment in the developer's standard in the Hubertus settlement. Hubertus Settlement is a residential complex featuring 6 main structures (up to 10 storeys each) and one discreet one (with only 11 apartments). The settlement features a 2-level underground garage available exclusively for investment's residents. The entire settlement was designed to resemble a small town - green patios (one in each quarter), meticulously arranged spaces between structures, as well as a park promenade with recreational spots create a truly unique atmosphere. The area's security is granted by advanced monitoring, video intercoms, as well as magnetic keys to the common areas. A concierge's service is provided to additionally aid the property's residents in their everyday life. The investment is located in Służewiec on Obrzeżna street. A large shopping center Galeria Mokotów, as well as Mokotów Business Park (business center) are located nearby. A famous horse racing track of Służewiec can be seen from the windows of numerous Hubertus apartments. The area of the investment is very well connected with just any other part of Warsaw - numerous bus and tram lines (along with subway) run just nearby.